The Israeli infrastructure projects of 24 settlements, illegally built on Palestinian-owned lands in Salfit, drain more agricultural lands of the city. Eyewitnesses affirmed that Israeli bulldozers were seen leveling lands north of Saoukan town west of the city in favor of extending sewer lines of the settlements. The local activist Khaled Maali said that Israeli infrastructure projects are an additional tool used to confiscate lands and uproot olive trees in the province. These infrastructure projects are in total violation of the international laws and conventions that clearly prohibit any construction works in an occupied land. 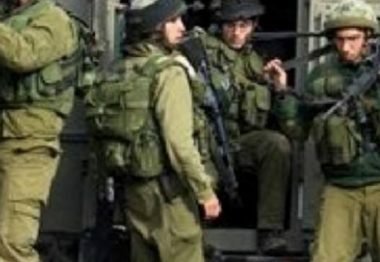 Israeli soldiers invaded, on Saturday at dawn, the town of Doura, south of the southern West Bank city of Hebron, and clashed with many local youths, wounding several Palestinians, and kidnapped one Palestinian after initially detaining him along with two others. Local sources in Doura said the clashes were focused in the center of the town, and that the soldiers fired many rounds of live ammunition, rubber-coated steel bullets and gas bombs. One Palestinian was shot with a live round in his leg and was moved to a hospital for treatment, suffering a moderate injury. Medics also provided the needed treatment to several Palestinians, who suffered the effects of teargas inhalation. In addition, the soldiers confiscated a car, belonging to detainee Soheib Jabara al-Faqeeh, and kidnapped three Palestinians, but released two of them later. The soldiers detained Mo’ab and Nabil Sharawna, the brothers of Mo’taz Idrees Sharawna, 19, who was killed by Israeli soldiers, on July 2, 2013, after the soldiers invaded Doura. The two siblings were released later, while the soldiers also kidnapped Adam Taha Abu Sharar, 30, and took him to an unknown destination. The Israeli occupation authorities (IOA) on Thursday ordered the family of the Palestinian detainee Ahmad Abu Zaid to evacuate their home pending its demolition in ten days. The Israeli Supreme Court turned down on appeal filed by the family to cancel the demolition order. The IOA set a 10-day deadline for the evacuation of the family home, which covers 100 square meters and shelters 10 members. The demolition also targets four shops in the ground floor. The order was issued on allegations that prisoner Abu Zaid assisted three youths who carried out an anti-occupation stabbing attack in Jerusalem’s Bab al-Amoud area some five months ago. The three youngsters were killed by the Israeli army right on the spot. Israeli soldiers kidnapped, on Friday at dawn, a young Palestinian man in Husan town, west of Bethlehem. 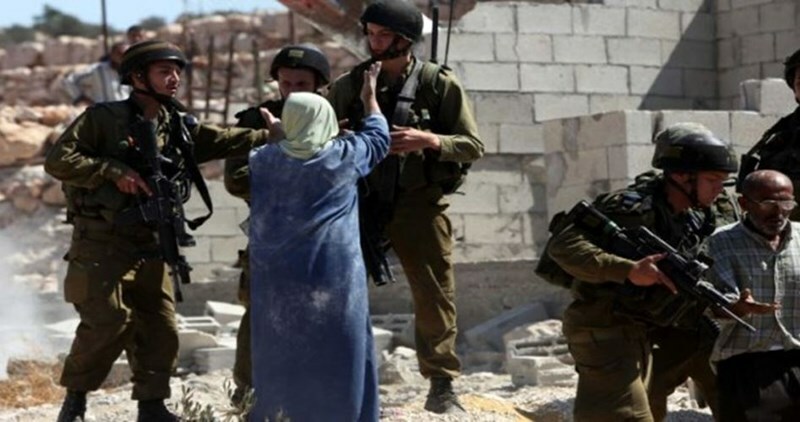 The soldiers also invaded al-Khader town, south of Bethlehem and searched many homes. The soldiers kidnapped Dia Mohammad Za’oul, 23, after violently searching his home, causing excessive property damage. The soldiers also confiscated mobile phones and computers from the invaded property. In related news, the soldiers invaded Solomon Pools area, near the al-Khader town, and searched many Palestinian homes. Owners of two of the invaded homes have been identified as Mohammad Daoud Suleiman and Ali Mohammad Salem. 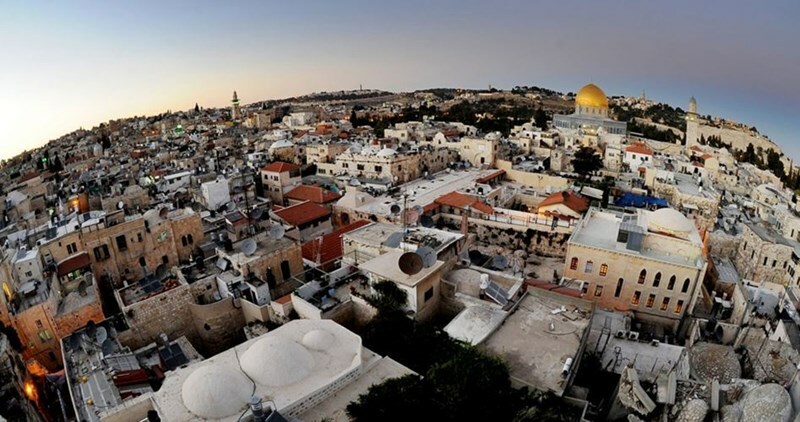 The invasion led to clashes with local youngsters, who hurled stones at the invading military vehicles, especially in the al-Bawwaba area and the Jerusalem-Hebron road. The army fired many gas bombs and concussion grenades. PLO Executive Member Dr. Hanan Ashrawi, Tuesday, strongly denounced Israel’s plan to expand three illegal Israeli settlements around the Jerusalem area, by building hundreds of residential units to accommodate more Israeli settlers. 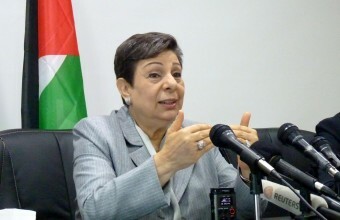 Ashrawi said, according to WAFA, that the Israeli government is bent on destroying the viability, integrity and territorial contiguity of a future Palestinian state with East Jerusalem as its capital simply by isolating Jerusalem from its Palestinian environs and ethnically cleansing the occupied city of its indigenous population. Ashrawi deplored the announcement by Netanyahu and Lieberman to expand and intensify settlement activities in Hebron, including the approval of the construction of an additional 42 units in the illegal settlement of Kiryat Arba. Ashrawi further condemned the use of collective punishment against around 700,000 people in the Hebron area. “Such critical Israeli escalation paints a grim picture and provokes further anger, violence and extremism,” she added. The expansion plans come two days following the release of the Middle East Quartet’s report, which flagrantly accommodates Israel’s demands and violations, equates a vulnerable people under a brutal military occupation with a ruthless occupier and falls below the minimum requirements for peace, said Ashrawi. “The chances for the two-state solution are rapidly disappearing; if Israel is not stopped, extremism and violence will prevail,” she concluded. U.S. State Department said Tuesday the reports of new Israeli construction permits called into question Israel’s commitment to the two-state solution. We’re aware of reports that the Government of Israel intends to advance plans for hundreds of housing units in Israeli settlements in the West Bank as well as East Jerusalem, spokesman for the U.S. State Department John Kirby said. If it’s true, this report would be the latest step in what seems to be a systematic process of land seizures, settlement expansions, and legalizations of outposts that is fundamentally undermining the prospects for a two-state solution, he added. On Sunday night, Prime Minister Benjamin Netanyahu and Army Minister Avigdor Liberman approved the construction of 800 of new housing units in occupied Jerusalem. According to the plan, 560 new units will be built in Ma’ale Adumim, 140 homes were approved for Ramot settlement and 100 for the Har Homa settlement in southeastern of occupied Jerusalem. Israel has been hit with harsh criticism over decision to advance plans to build hundreds of units in the West Bank and East Jerusalem just days after world powers called on Israel to stop its settlement policy. State Department spokesman John Kirby said Tuesday US officials had seen reports that Israel intends to advance plans for hundreds of housing units in Israeli settlements in the West Bank and East Jerusalem. "If true, this report would be the latest step in what seems to be a systematic process of land seizures, settlement expansions and legalizations of outposts that is fundamentally undermining the prospects for a two-state solution," Kirby told a news briefing. UN chief Ban Ki-moon also questioned Israel's commitment to reaching peace with the Palestinians. "This raises legitimate questions about Israel's long-term intentions, which are compounded by continuing statements of some Israeli ministers calling for the annexation of the West Bank," Ban's spokesman Stephane Dujarric said in a statement. Ban was "deeply disappointed" that Israel's announcement followed the release of a report on Friday by the Quartet sponsoring the stalled Middle East peace process - the United States, Russia, the European Union and the United Nations. The long-awaited report said Israel should stop building settlements, denying Palestinian development and designating land for exclusive Israeli use that Palestinians seek for a future state. The Quartet report said at least 570,000 Israelis are living in the settlements. 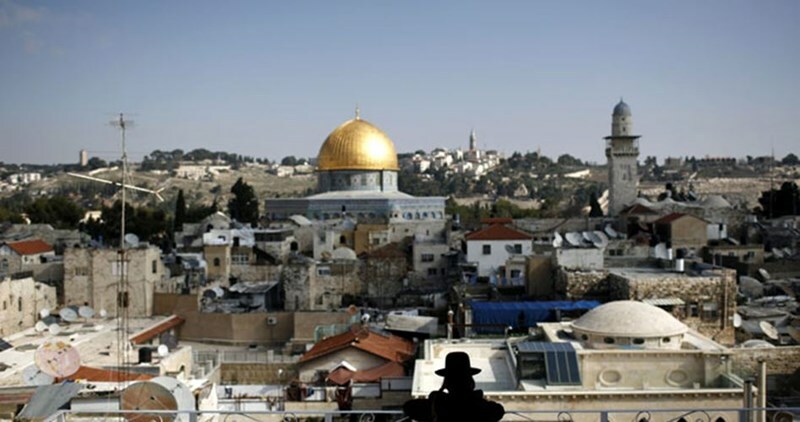 Ban "reiterates that settlements are illegal under international law and urges the Government of Israel to halt and reverse such decisions in the interest of peace and a just final status agreement," Dujarric said. Diplomats said the Quartet report was not as hard-hitting as expected after Prime Minister Benjamin Netanyahu set out to ensure the document was softened. Israeli bulldozers started leveling works in al-Sheikh Jarrah neighborhood for opening a street and establishing housing apartments compound for the sake of increasing numbers of settlers residing in Occupied Jerusalem. With the increasing establishment of settlements, there have been over 29 settlements located within 112,000 dunums in Occupied Jerusalem and inhabited by 269,996 settlers who form 5% of the total number of settlers residing in Israel. Khalil Tafkaji, settlement expert and head of maps and land department at the Arab Studies Society, said that the Israeli settlement plan is a part of a settlement series for which about 3345 dunums of Palestinians’ lands were confiscated in 1968. Tafkaji told the PIC reporter that the Israeli plan was endorsed in 1998 to build 190 new settlement housing units in the area on three phases. The first of which has been implemented and the second and the third are being conducted and expected to be finished in 2019. The Israeli occupation forces (IOF) on Tuesday notified the demolition of the family home of the slain Palestinian youth Muhammad Tarayra on the second day of Muslims Eid al-Fitr. 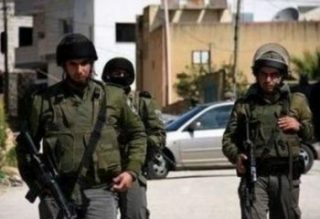 The IOF soldiers rolled into al-Khalil’s eastern town of Bani Na’im, in the southern occupied West Bank, and notified the demolition of Tarayra’s family home, which covers an overall area of 250 square meters, on July 7. Over recent days, the IOF soldiers have sealed off the main entrances to Bani Na’im town and rummaged into civilian homes. The assault culminated in the abduction of youngster Muhammad Hassan Ehmeidat. Other youths were summoned for interrogation in the process. 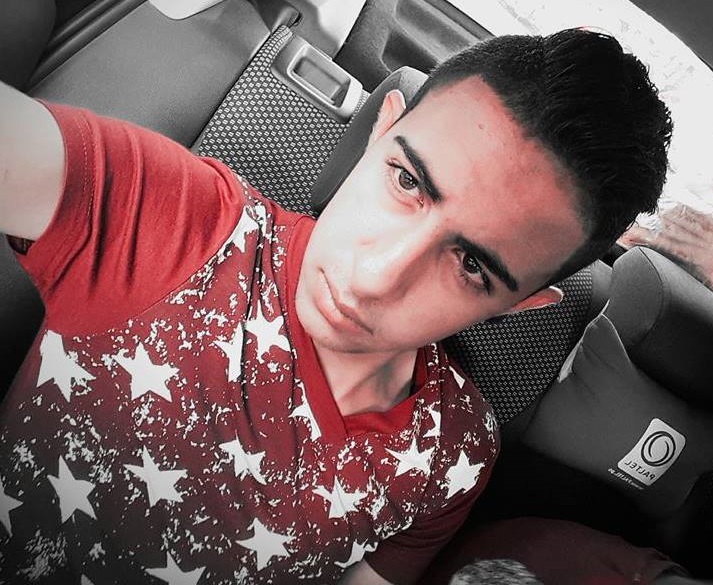 19-year-old Muhammad Tarayra was killed by the Israeli occupation army last Thursday after he had carried out an anti-occupation stabbing attack in the illegal Israeli settlement of Kiryat Arba, in eastern al-Khalil province. Settlers on Monday leveled Palestinian lands to expand Brokhin settlement which is established by force over Palestinians’ lands east of Sarta town to the west of Salfit. Researcher Khaled Maali told the PIC reporter that the expansion works have been going on in Salfit governorate in full disregard to its violation of the international humanitarian law which prohibits the confiscation of lands under occupation or the construction of facilities for the occupying power over it. 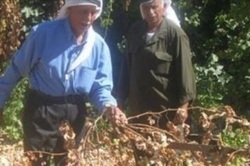 A number of extremist Israeli colonists destroyed, Monday, several grapevines, a shed and uprooted plants, belonging to a Palestinian farmer in the Zeitouna area, isolated, between the illegal Israeli colonies of Daniel and Eliezer, built on Palestinian lands, in al-Khader town, south of the West Bank city of Bethlehem. 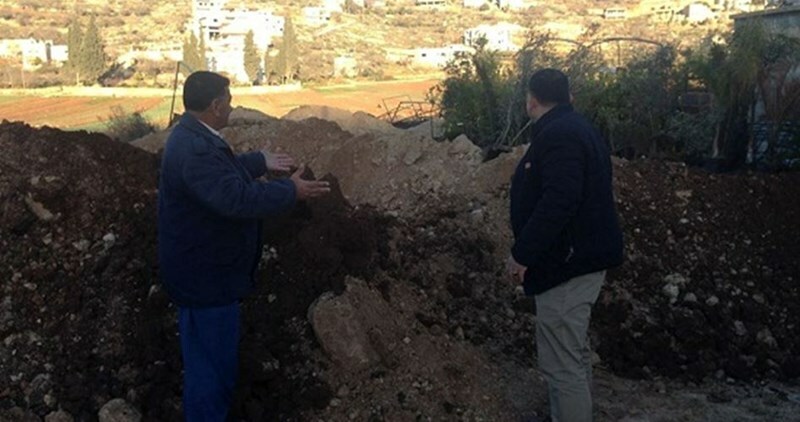 Ahmad Salah, the coordinator of the Popular Committee against the Wall and Colonies in al-Khader, said the assailant broke the main gate leading to the Palestinian land, uprooted grapevine shrubs and cut their arbors. Israeli soldiers shot and injured at least four Palestinians in the ongoing military invasion into the Qalandia refugee camp, north of occupied Jerusalem, after dozens of Israeli army vehicles invaded it, and demolished homes of two slain Palestinians. Dozens of army vehicles and jeeps invaded the refugee camp, and demolished the two Palestinian homes after forcing their families, and all families living near them, to leave their properties. Assaf, who were killed on December 24, 2015, after carrying out a stabbing attack in Jerusalem. 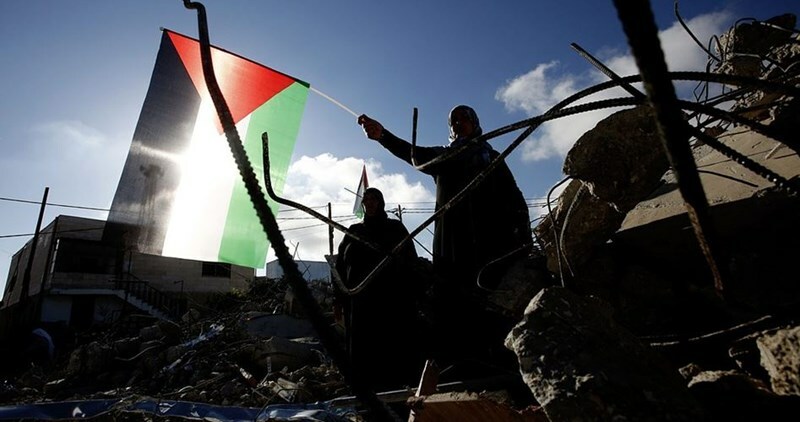 The Palestinian Red Crescent said the soldiers shot four Palestinians with live fire, and that one of them suffered a serious gunshot wound in his back, during clashes that took place after the soldiers invaded the camp, and demolished the two homes. It added that the soldiers prevented its ambulances from entering the refugee camp, and fired several gas bombs at the ambulances and medics, as they were trying to reach wounded Palestinians. The Red Crescent also said it received phone calls about additional injuries in the al-Kassarat area of the refugee camp, but the soldiers are not allowing them through. The Qalandia Media Center said the invasion was carried out by at least 1000 soldiers, after the army completely surrounded the camp, and that the army exchanged fire with armed resistance fighters. The extended military invasion into the refugee camp was carried out after residents of the camp realized that undercover Israeli soldiers infiltrated into it, driving cars with Palestinian license plates, and hurled stones of the soldiers before dozens of army vehicles advanced into camp. The army imposed a strict siege on the camp, and closed all of its main roads, preventing the Palestinians from entering or leaving it. The soldiers also shot and destroyed street lights, while many soldiers occupied rooftops before using them to fire on the protesters. In addition, the army deployed surveillance balloons to monitor the Palestinians during the invasion. 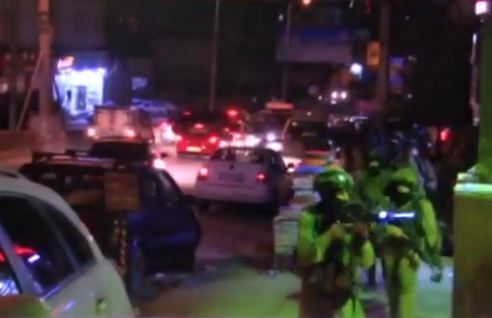 Video – Dozens of armored Israeli military vehicles invaded, on Sunday night after midnight, Qalandia refugee camp, north of occupied Jerusalem, after surrounding it, and injured one Palestinian. Local sources in the camp said the soldiers invaded it from various directions and headed towards the homes of Anan Abu Habsa and Issa Assaf, who were killed on December 24, 2015, after carrying out a stabbing attack in Jerusalem. The army used megaphones ordering all residents living near the homes of the two slain Palestinians to leave, as the soldiers prepare to demolish the family homes of Assaf and Abu Habsa. The invasion led to clashes in the refugee camp; the soldiers fired many rounds of live ammunition, gas bombs, concussion grenades and rubber-coated steel bullets. Medical sources said one Palestinian was injured with a live Israeli army round, and that Red Crescent medics are trying to reach him, but the soldiers stopped their ambulance and prevented them from even walking to him. 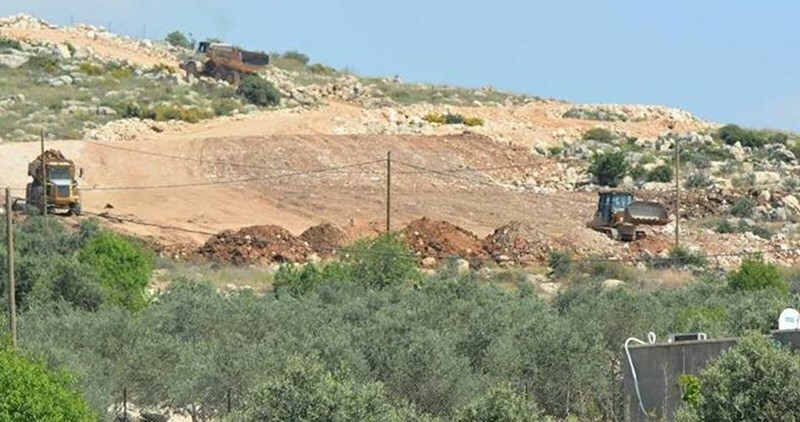 Settlers on Sunday leveled Palestinian lands to expand Brokhin settlement which is established by force over lands of the Palestinian towns of Broqin, Bediya and Sarta west of Salfit. Researcher Khaled Maali told the PIC reporter that the expansion works have been going on in 24 settlements established over 18 locations in Salfit governorate. Maali pointed out that the Israeli government had previously announced the establishment of hundreds of new settlement units in Brokhin settlement. The construction of the new housing units has been done at the expense of Palestinians’ agricultural lands as well as green pastures, he added. Israeli Occupation Forces (IOF) confiscated a bulldozer in al-Ras al-Ahmar area in the Northern Jordan Valley. 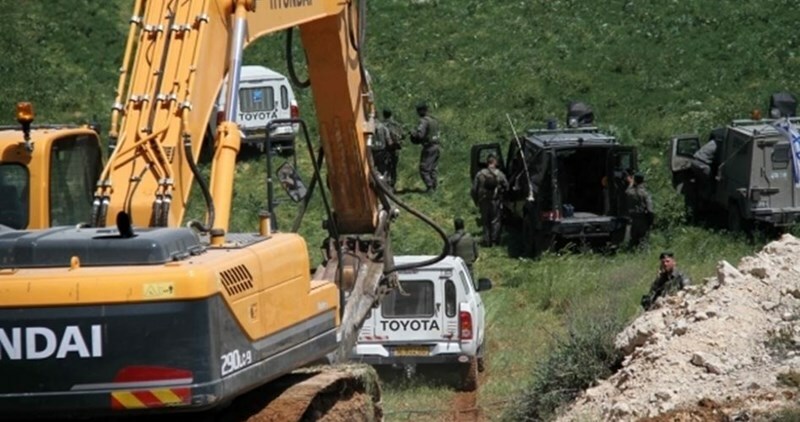 The official in charge of Jordan Valley’s file in Tubas and Northern Jordan Valley, Mutaz Bsharat, said that an IOF unit broke into the home of Jamil Bani Odeh and confiscated the bulldozer which is owned by Ghassan Bani Odeh. The Israeli occupation authorities (IOA) ordered a Palestinian family to evacuate their home in Silwan town, in Occupied Jerusalem, pending its demolition. Activist Fakhri Abu Diab said Israeli occupation policemen and municipal crews stormed al-Basateen neighborhood, in Silwan, and handed the family an evacuation order under the pretext of unlicensed construction. The IOA gave the family a ten-day limit to leave the house. The building belongs to the Basheer family. It was rebuilt a few years ago after the IOA had knocked it down in 2005. The activist further warned of an Israeli intent to raze 100 homes, where 1,650 Palestinians have been taken shelter, in al-Basateen neighborhood for the purpose of establishing a park.